The Amity Career Counselling and Guidance Cell (ACCGC) was launched by Dr (Mrs) Amita Chauhan, Chairperson, Amity Group of Schools and RBEF with the objective of empowering every student to make an informed career choice. As part of the endeavour, many activities and career counseling facilities are organised through the year. Many activities are organised on a regular basis to encourage and motivate students to pursue a career of their choice, including career testing & counseling, career fairs, university campus visits, workshops for students, parents and teachers among many others. 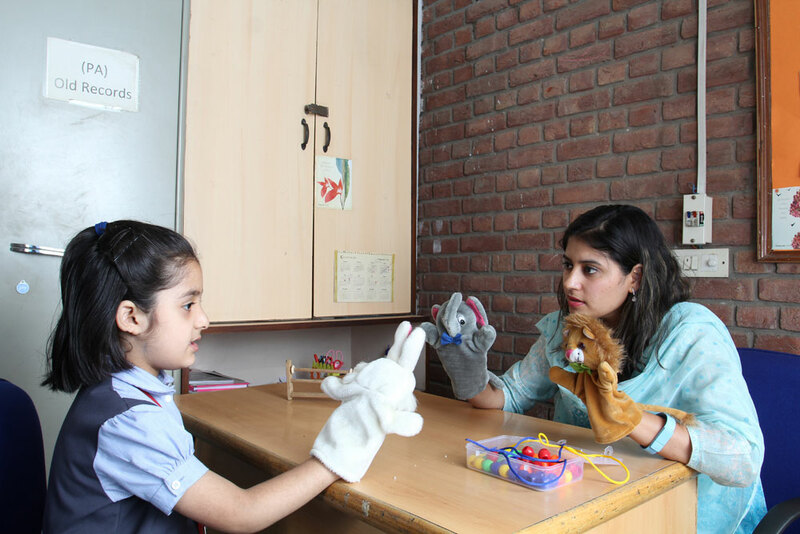 The school counselor helps both students and parents through individual as well as group counselling bring balance in knowledge skills and attitudes. The counselling areas include adolescent issues, behavioural difficulties, stress, anxiety & aggression, relationship issues and poor achievement. Effective workshops are conducted from time to time on topics like study skills, time management, life skills, stress management, career counseling, parenting etc for parents/students by experts as well school counselors. The school Learning Centre ensures ‘inclusion’, an effort to make sure that all learners including children with disabilities access school along with other children. They receive specially designed support and instruction which they need to succeed as learners.